You are about to be introduced to a new frontier of science, a new branch of biology that will forever change the way you think about seed production and genetics. Biology professor Yingqing Zhang at Shandong University, in the People’s Republic of China, put forth the theory of ECIWO biology, which has applications in medicine, genetics, biochemistry, agriculture and other sciences. ECIWO (Embryo Containing the Information of the Whole Organism) biology applications for seed selection are revolutionary, simple, and any seed producer can quickly come to understand and master. Many plants can be propagated asexually through cuttings and tissue culture. A somatic cell (nonembryonic cell) contains all the genetic information to be able to develop into a new complete organism. Plants are made of cells, and cells form into the various plant parts. These parts are called ECIWOs i.e. cells, branches, leaves, flowers etc. Every ECIWO has its corresponding relationship to every other ECIWO of the same organism. This is called the bio-holographic law. In other words, a sprout on a branch is a new little plant on the bigger plant. Let us take the shape of a leaf; if the leaf is long and narrow, the entire plant tends to grow long and narrow. If a leaf is wide at the bottom and narrow at the top, the plant will also, as a whole, be shaped similarly. Obovate leaves indicate that the leaves are on the ends of the branches. Flower petals indicate where they are located on the plant. If the petals are wide at the top and narrow at the bottom they tend to be born at the top of the plant or at the end of the branches. If the petals are triangular (narrow at the top) the flowers tend to be borne at the bottom of the branches such as in eggplants. Fruits also often indicate their position by their shape. Figs are narrow at the top and wide at the end are borne at the ends of the branches. Peaches are round and are borne more towards the middle of the branches. Wheat seed has its greatest genetic potential for producing seed at the middle of the spike. Chinese agronomists have painstakingly taken the grains from each position on the spike from hundreds of wheat plants and planted the seed. The differences in yields are remarkable. Yields are increased 13. 90% to16.95% over using the seed from the whole spike. Starting from the bottom, the 4th seed position up to about the 12th is where the greatest genetic potential exists for high grain yields. The awns on the spike are modified leaves or ECIWOs, which explains why seed is chosen from the middle instead of the top of the spike. There is also a correlation between seed size and its genetic potential position on the wheat spike. The biggest seeds grow the most grain. Chinese researchers have developed a seed separator that separates the small wheat seed from the large seed. Yields using this seed are 11.3% higher than seed used from the whole spike. Since there are more seed with medium or inferior genetic potential on a plant than that of superior quality, using all the seed will cause the variety to degenerate. Studies on 6 wheat varieties show that yields decrease 1.54% to 3.49% per year. In a few years the variety will be weak and worn out. It can take 10 years to develop a new outstanding wheat variety. Much time and effort can be saved using localized seed selection to improve old varieties and develop new varieties, because it is now known where the superior seeds are located. Sorghum and millet seed for grain production are chosen from the top of the seed head. The seed head is an ECIWO, like a small plant on the big plant, the top corresponds to seed production, the middle to forage production and the bottom for root production. Seed chosen from the top has 6.4% to 26.3% higher yield of grain than seed from the bottom of the ear. An ear of corn grows on the middle of the corn stalk. Seed chosen from the middle of the ear has the greatest genetic potential for seed production. Studies have shown seed selected from the middle of the ear will yield from 5.9% to 19.9% higher than seed from the lower or upper thirds of the ear. Yields as high as 35% greater have been recorded. In potatoes the lower part of the plant is what we want to develop. When selecting seed potatoes, the lower half or distal end of the potato is used and yields up to 20% more potatoes. The upper half may be used for consumption. Also the potatoes can be cut vertically and will give greater yields that when using mixed top and bottom halves. Top halves yield the least. 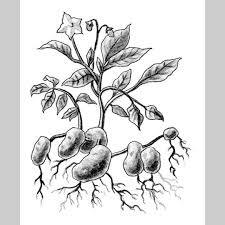 The distal bud on the deepest, largest potatoes have the greatest genetic potential for tuber production. Viruses don’t exist evenly in the tuber; this same distal bud has the least virus. Therefore, by growing plants from this distal bud we can get rid of viruses. Rice grain is born on the top of the plant and seed is selected from the upper 1/3 of the panicles. Yield increases up to 17% higher than when the whole panicle is used for seed. For even greater efficiency the lower grains can be cut off while developing, putting all the plant’s energy into the upper 1/3 forming seeds. For Chinese cabbage, seed is selected from the lower middle near the main stem. Yields increase 11-18.5%. Seed for turnips are collected from the lower middle region of the first lateral branches. Yields increase 14-23%. Cucumber seed is harvested from the second or third fruit near the middle lower section of the plant. Yield increase is 10%. Pole bean seed is selected in the lower regions and bush beans are chosen at the middle region. General yield increase: 5- 10%. Choose the lower sprouts of sweet potatoes for transplanting, studies show yield increases of 13.2% to over 30%. By choosing flower seeds for floral culture from only the top, flowers will have a greater uniformity in flowering time and a larger percentage of marketable flowers. 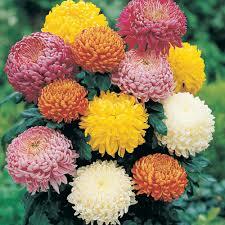 If seeds were saved only from the second from the top flowers, blooming time will be 5 to 7 days later. Seed from the 3rd flowers will be even later to bloom and will have smaller inferior flowers. Choosing seed from only from the side branches can increase the sugar content of beets. Sugar content increases 6% to 6.9% by using cuttings from the side buds of the root. However, the plants grow slower with smaller roots. The most vigorous plants come from seed produced from the lower seeds from the middle of the seed stalk. Plant breeders can cross high sugar cultivars with vigorous growing beets to produce improved varieties. ECIWO theory explains why carrots can inbreed or degenerate in just 2 generations. I have been frustrated growing carrot seed; after 2 generations the carrots grow as big as my thumb and have a greater tendency to bolt. Naturally, I have been selecting seed from the big beautiful umbel on top, thus I was selecting for top growth instead of large roots. These principles may have been known long ago, ECIWO theory can easily explain how Beta vulgaris could be developed into garden and sugar beets, mangels and Swiss chard; or how Brassica oleracea could have been developed into cabbage, broccoli, cauliflower, kale, kohlrabi, Brussels sprouts or collards. Localized selected seed is now used in China on many thousands of hectares providing increased yields and economic returns. ECIWO theory explains why varieties degenerate and the genetic variation at the different seed production locations on plants. Thus, through a simple technique that any backyard gardener can understand, old worn-out varieties can be rejuvenated using localized seed selection. This is a new field of study that is wide open for new discoveries, and there is much research that is needed for many different crops, ranging from field and vegetable crops to pomology and viticulture. I also believe that even new crops can be developed from wild plants using these principles. Zhang, Yingqing,. The 1985 Publication of an Outline of ECIWO biology, 1990 English translation by Y. Wang and Z.Y. Hu, from Holographic Biology Research 1985, Shandong University Press, Pp, 1-21. Progress in ECIWO Biology and its Applications to Medicine and Agronomy: Proceedings of the First International Congress of ECIWO Biology (Singapore), edited by T.T. Ang and Y.G. Shi. Beijing: Higher Education Press, Pp. 52-81. Bi Yihua, A Summary of the Tests of Wheat ECIWO Localized Seed Selection, Ibid. Shi Zhenyun, Researches into ECIWO Localized Seed Selection (LSS) in Increasing Stem Tuber Yield, Ibid. Xing Zuofu, Li Jingyang, Mao Guiying, Shen Cuizhen, Shen Lizhi, Zhang Yuguang, Cui Xuemei, Achievements in the Application Research of ECIWO Localized Seed Selection, Ibid. Shixian Zhang, A Summary of the Test on Rice ECIWO Localized Seed Selection, Ibid. Wang Ruiku, Liu Xidong, Du Jingsheng, ECIWO Biological Researches into Potatoes Multi-Level and Multi-Orientation ECIWO Localized Seed Selection, Ibid. Lu Shide, Guo Shucai, Sun Honglai, Sun Wenjun, Liu Juntian and Cheng Xiatiang, A Summary of the Bio-Holographic Localized Seed Selection Experiment on Sorghum. (Seed Supply Center of Yishui County, Shandong, P.R. China). Wei Sanli, An Application of ECIWO Biology in Horticulture, Biology College, Beijing Agriculture University, P.R. China. Buffalo Bird Woman, a 19th century Native American comments on traditional gardening. These traditions have been handed down from perhaps pre-columbian times and they used similar ECIWO seed selection techniques. A Mexican friend tells me his family specialized in raising seed corn in a remote area of Mexico. They chose the seed from the middle of the ear and kept that as a family secret. He said the grew they best seed in the area. Native Americans in the southwest traditionally saved corn seed from the bottom of the ear. This produced small corn cobs and plants with massive root systems capable of surviving the dry conditions of the desert climate. I myself have improved a landrace hulless barley with ECIWO seed saving techniques to the point that it out-yields modern hulless varities. Prof. Yinqing Zhang's cancer diet.